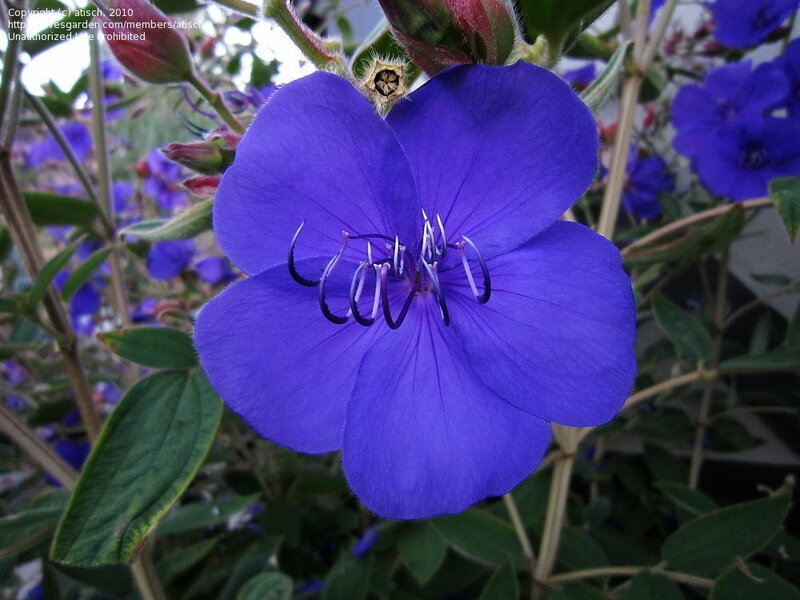 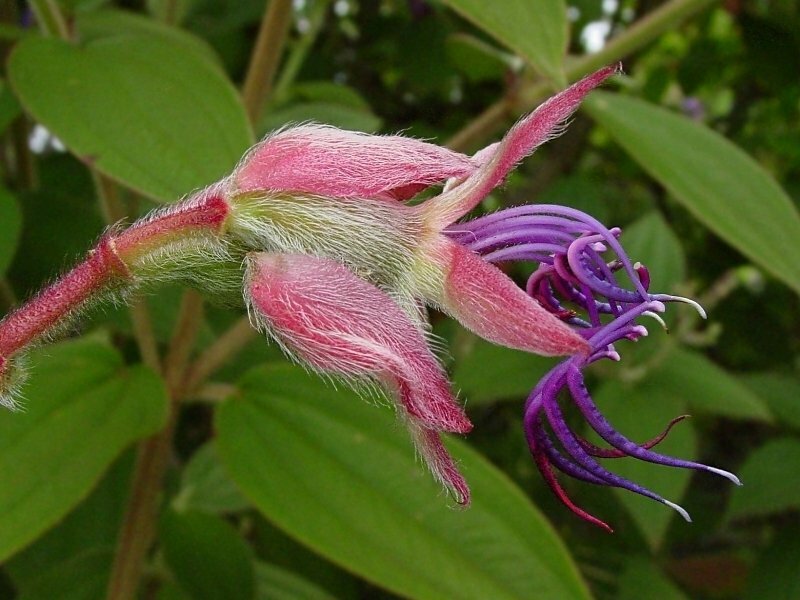 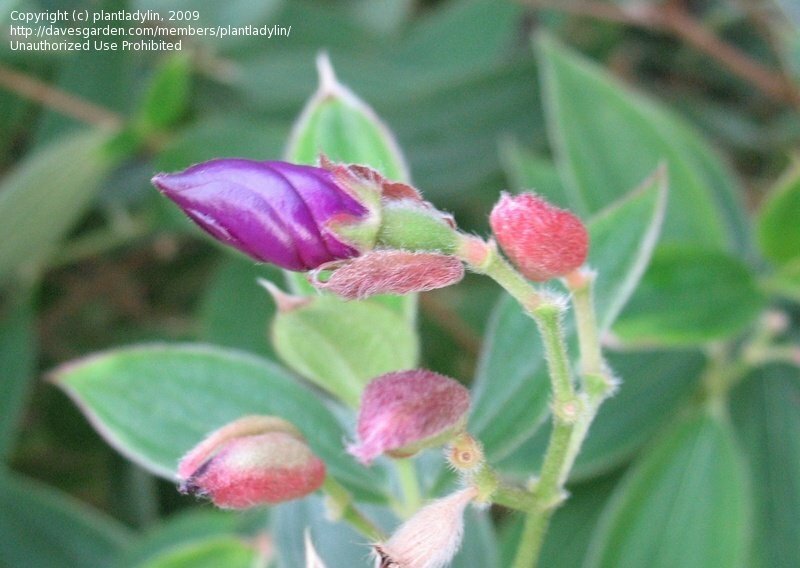 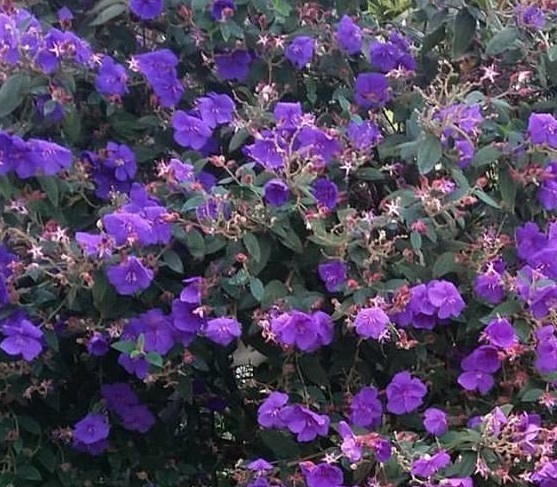 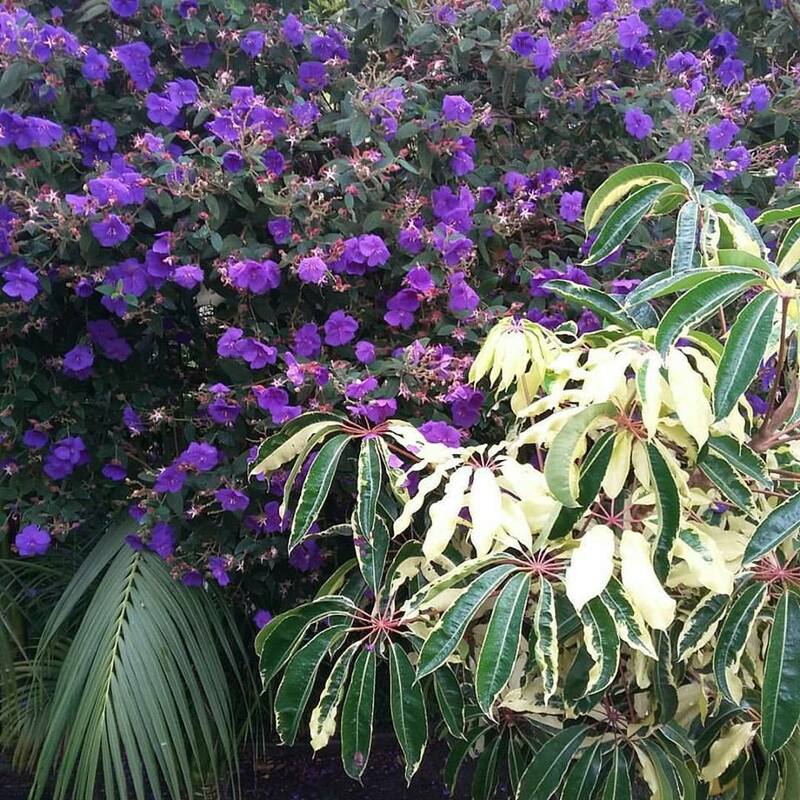 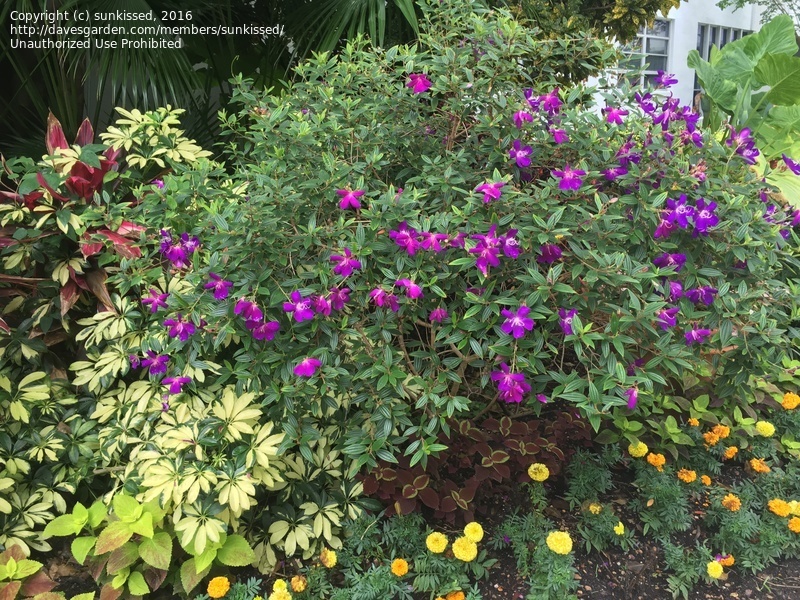 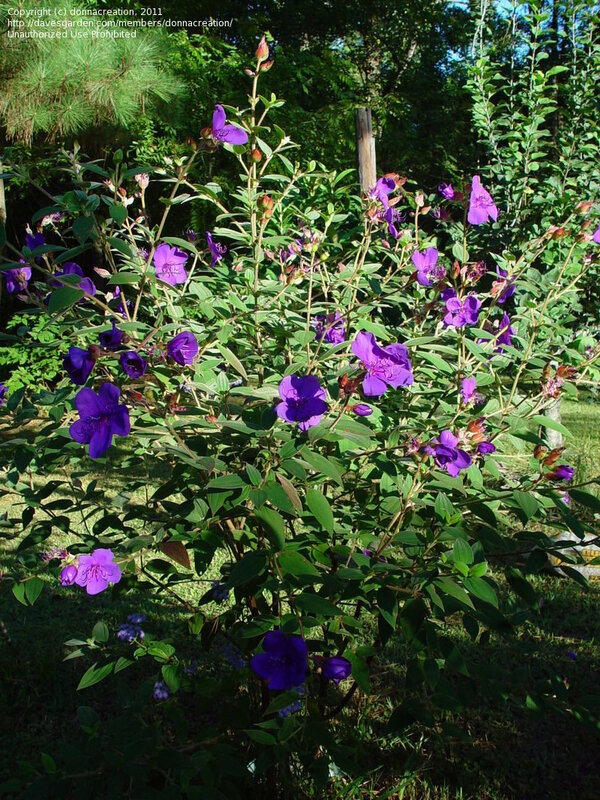 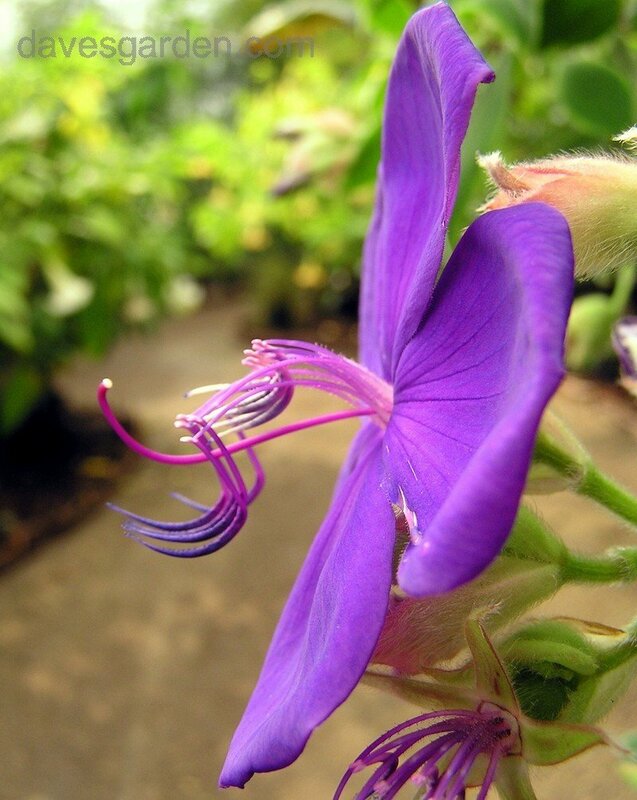 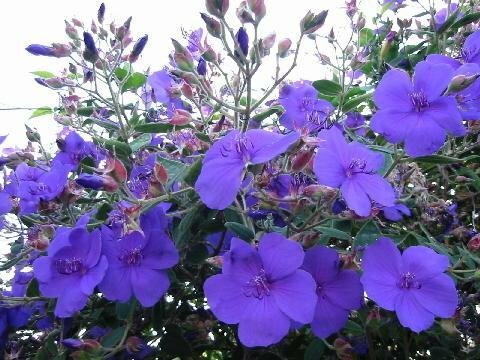 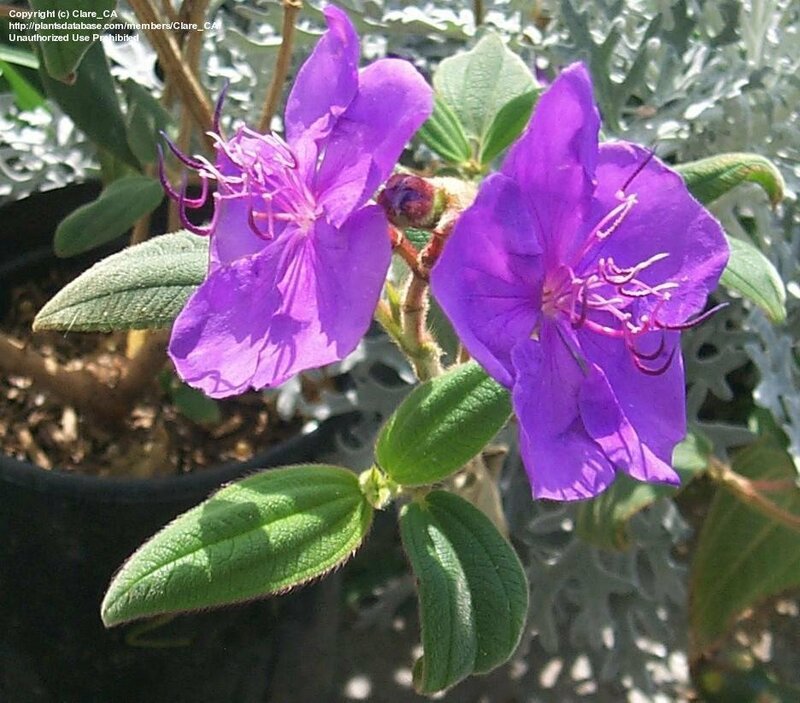 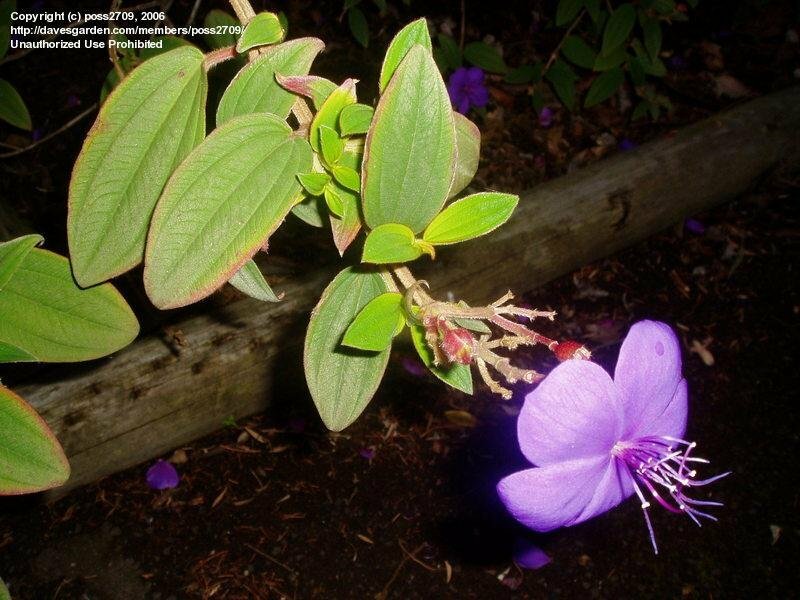 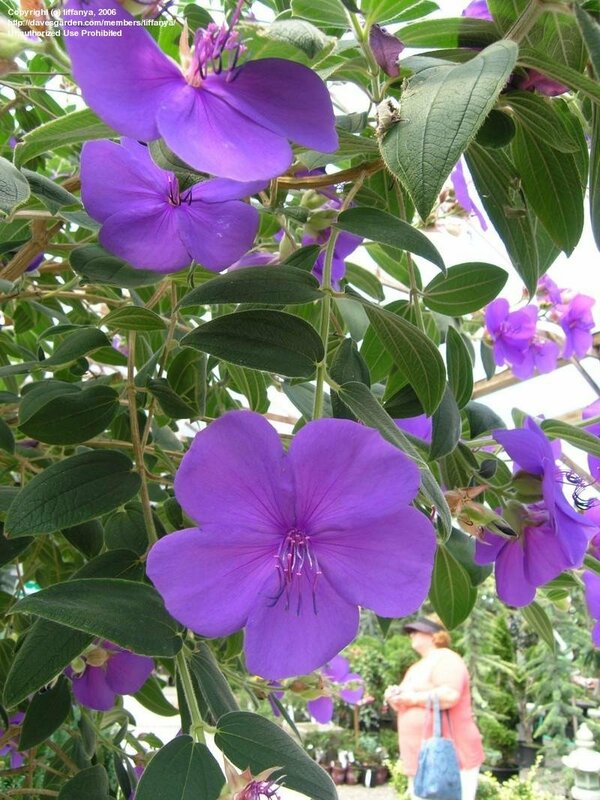 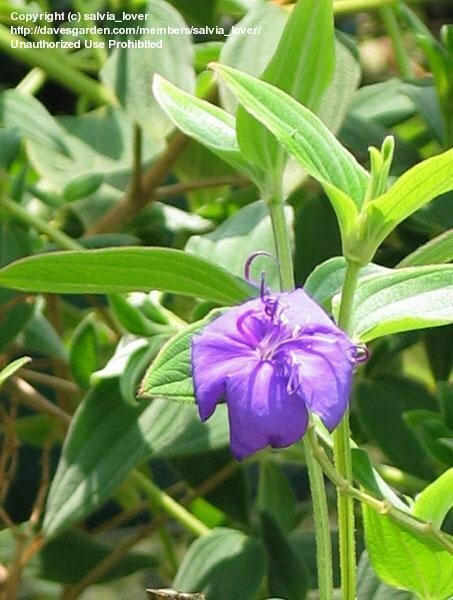 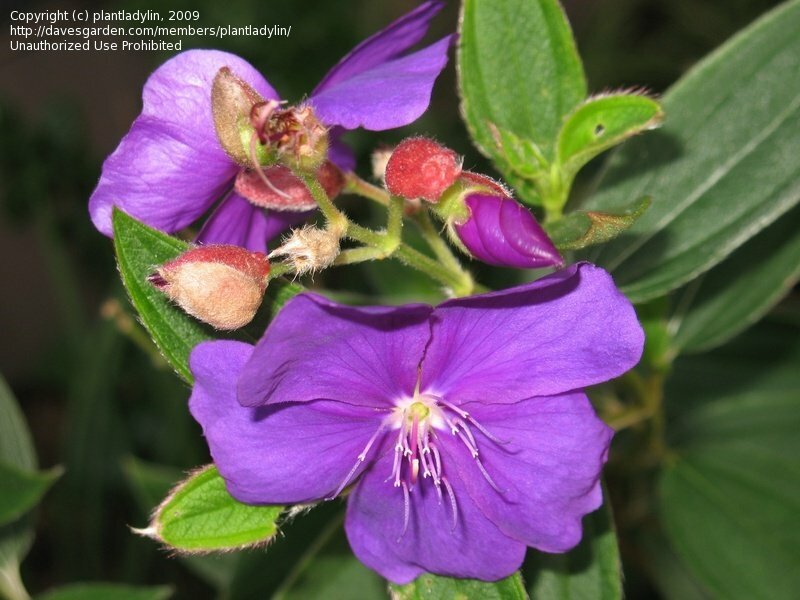 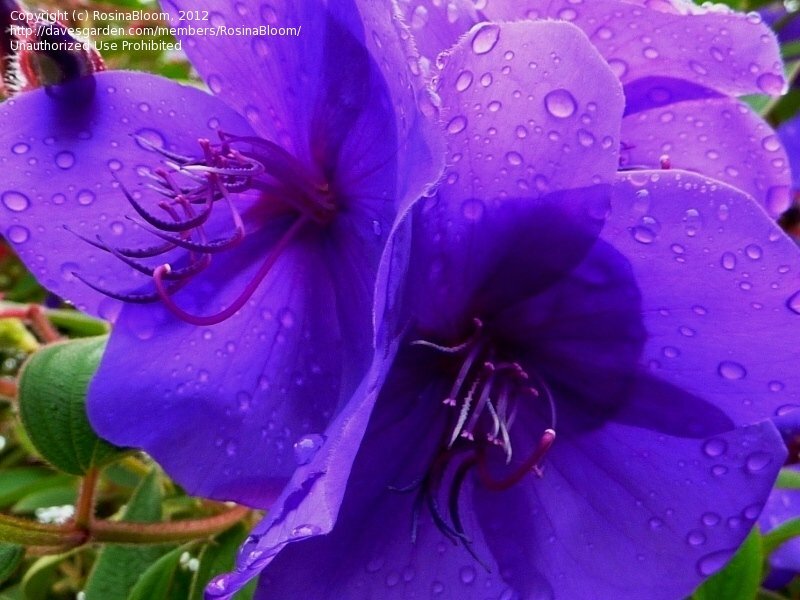 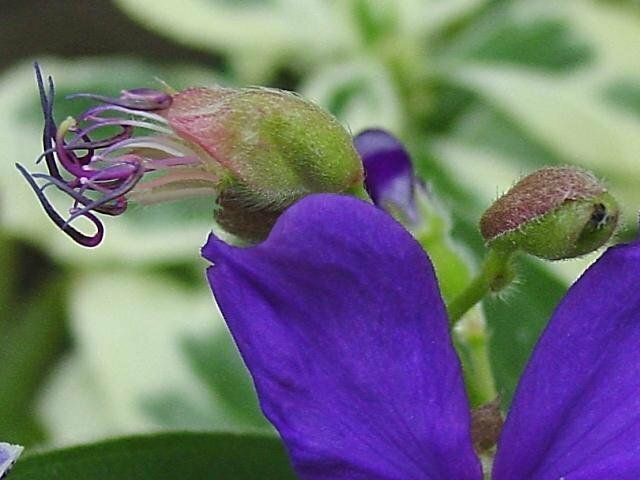 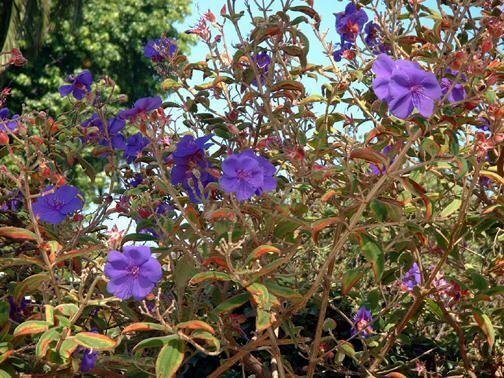 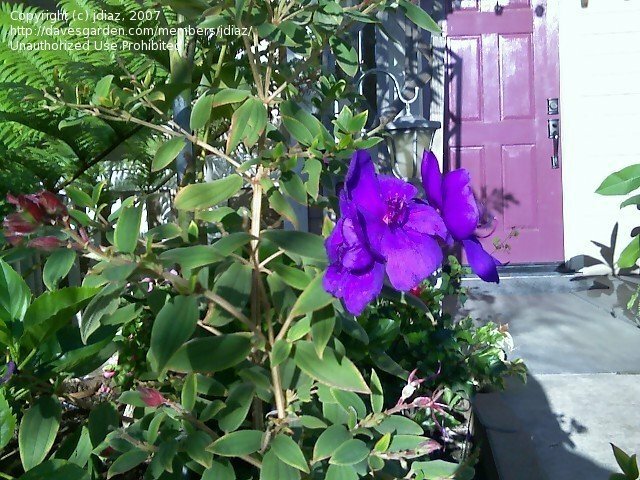 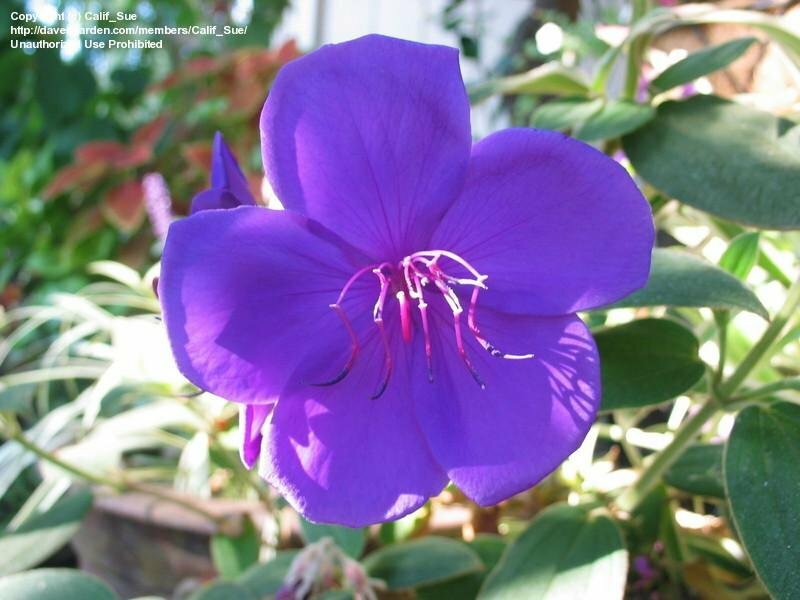 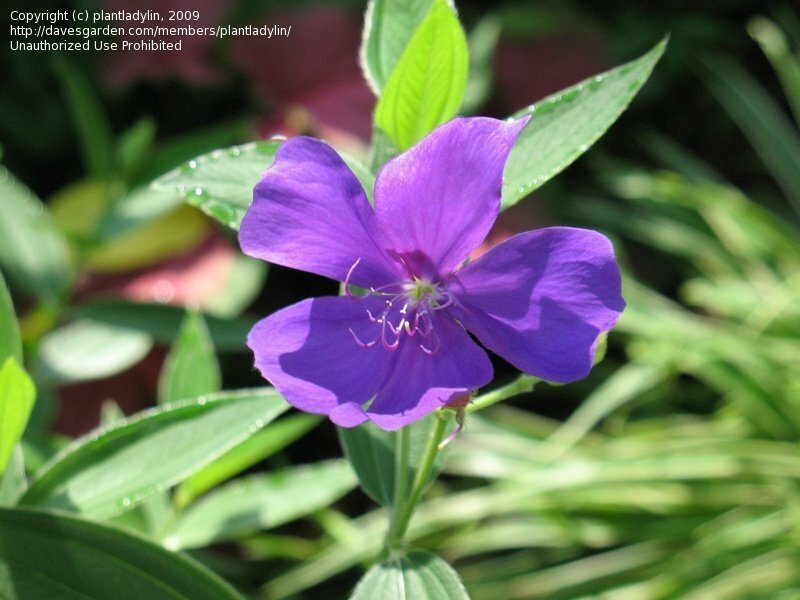 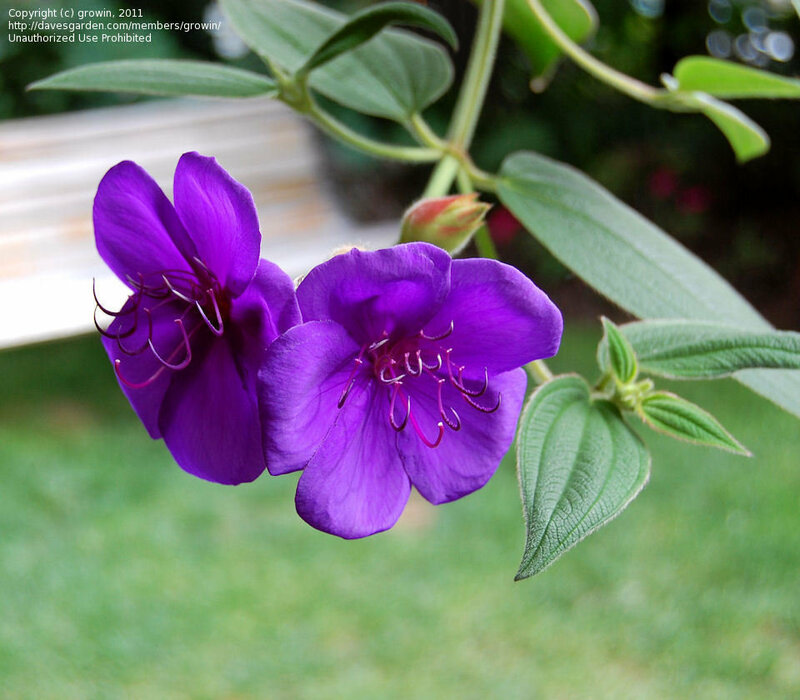 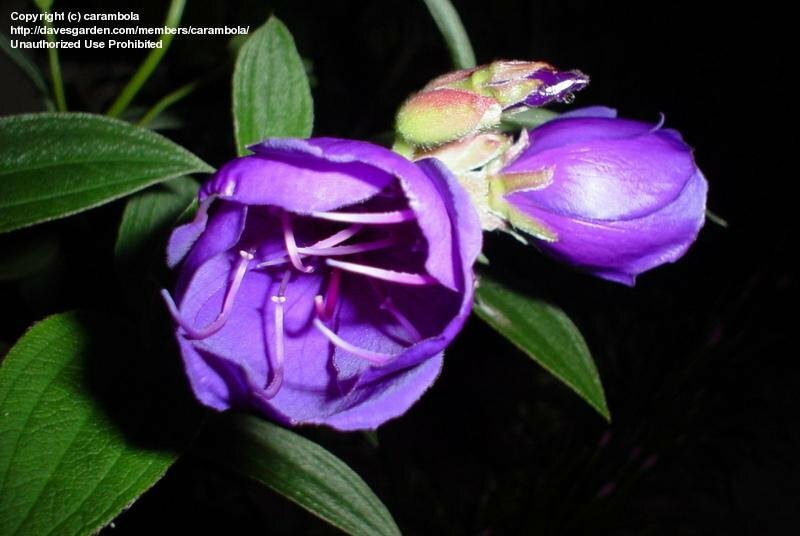 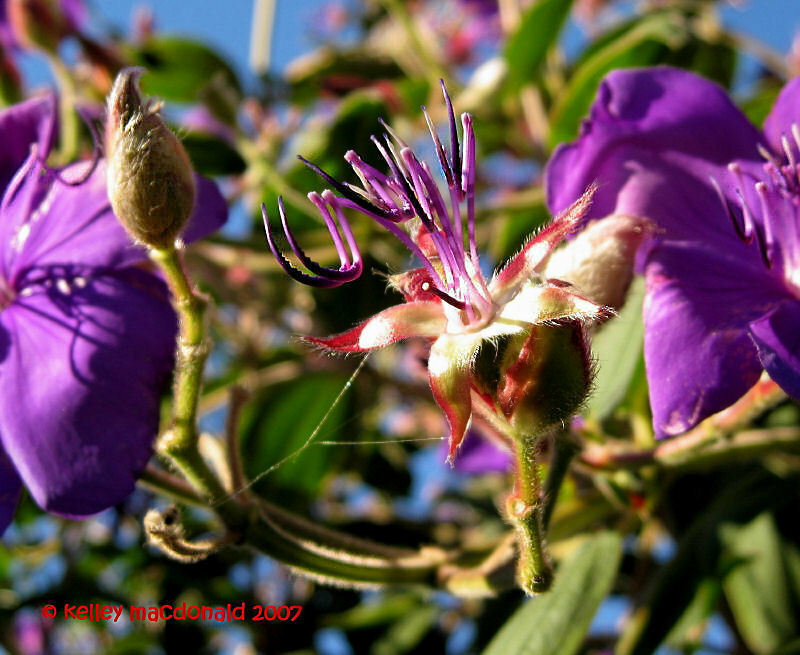 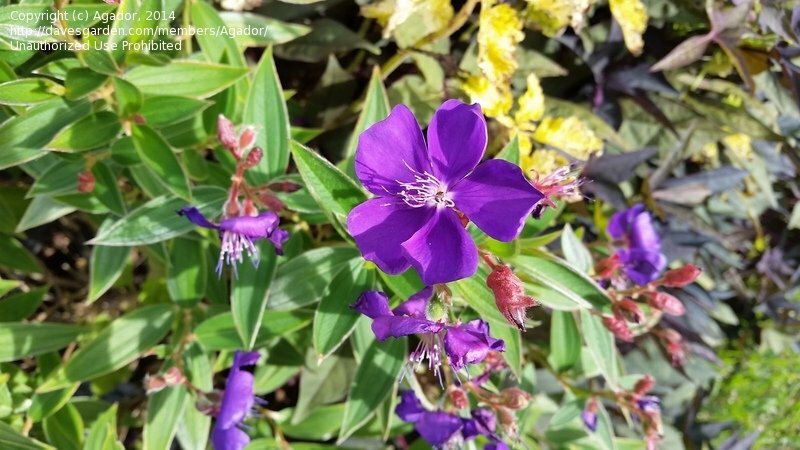 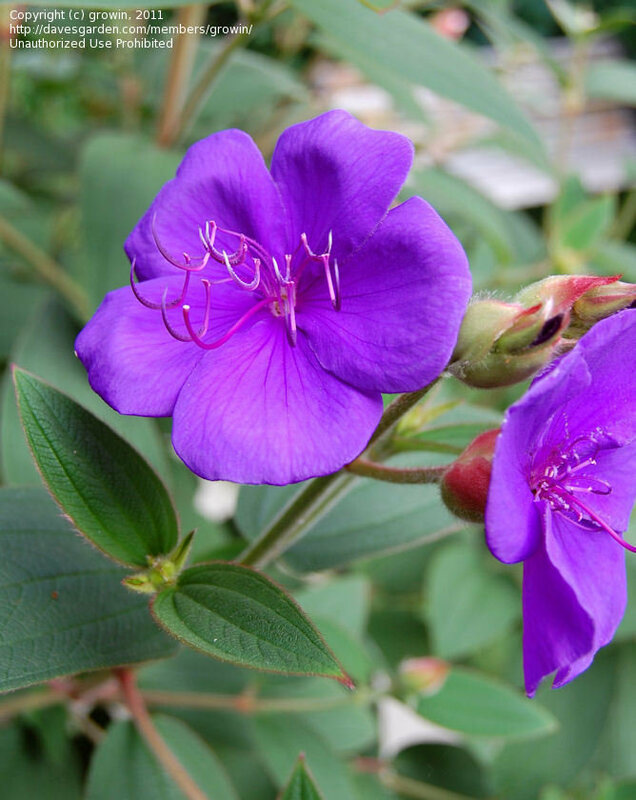 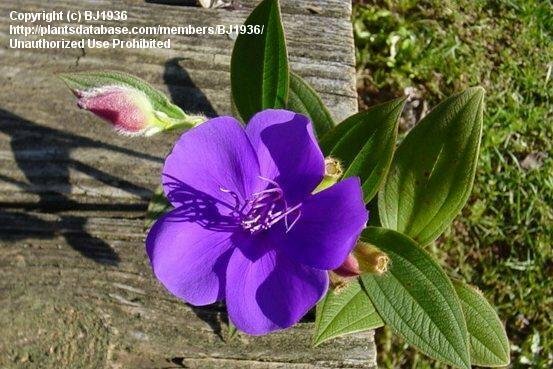 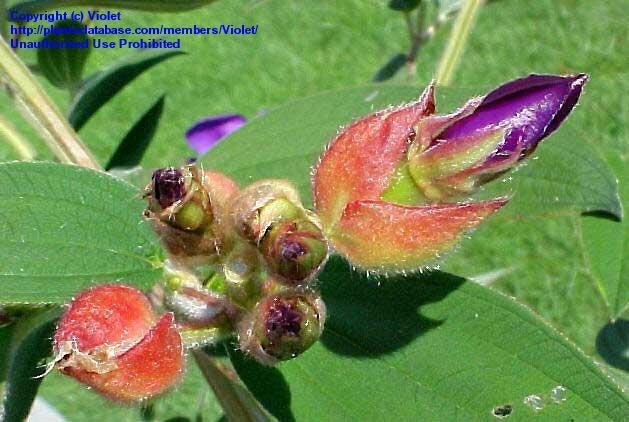 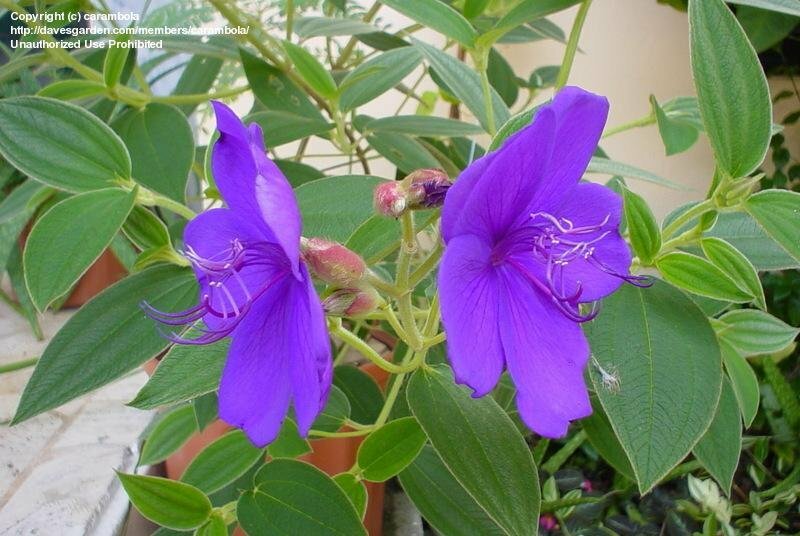 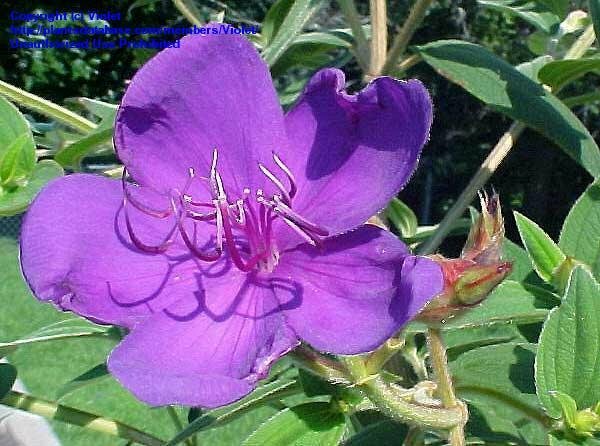 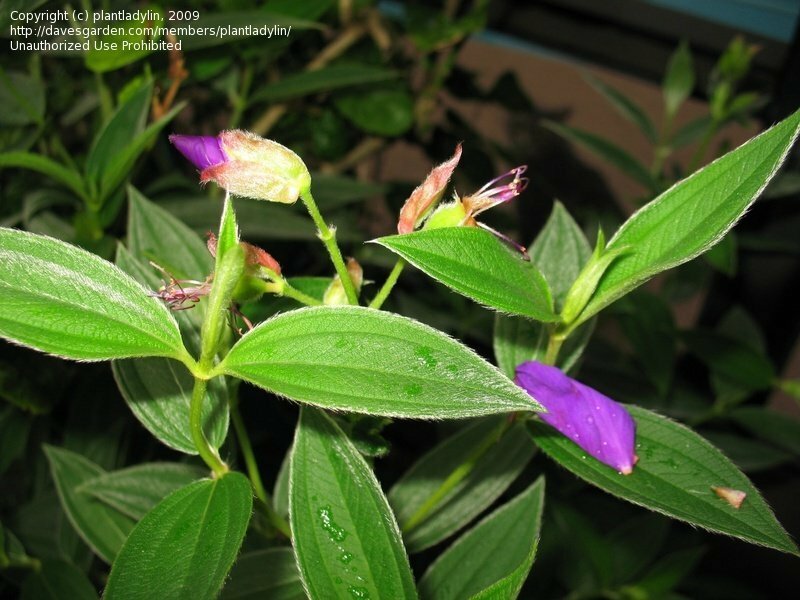 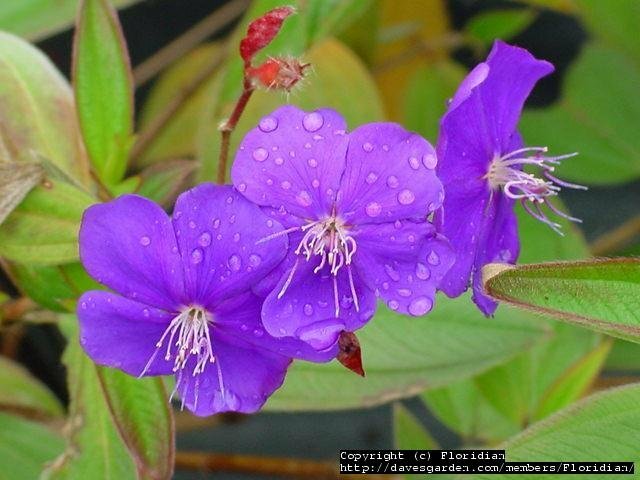 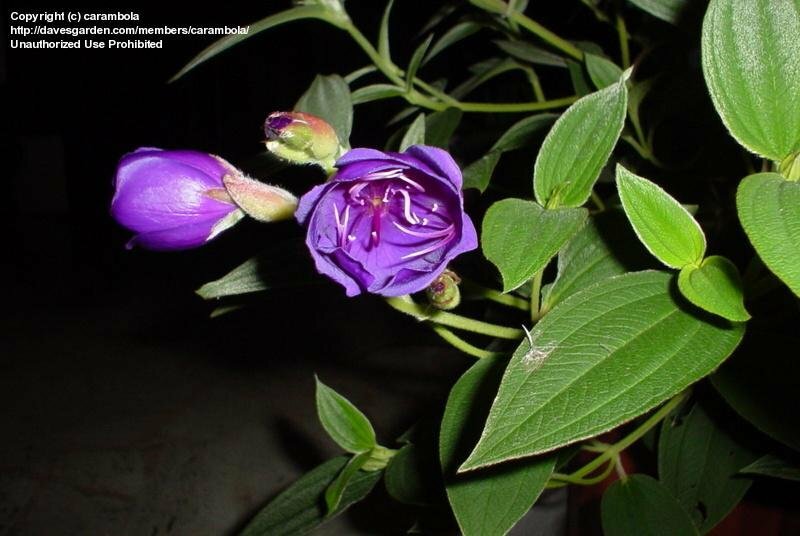 Tibouchina urvilleana : picture taken in 'Plantentuin Meise' Brussels, Belgium. 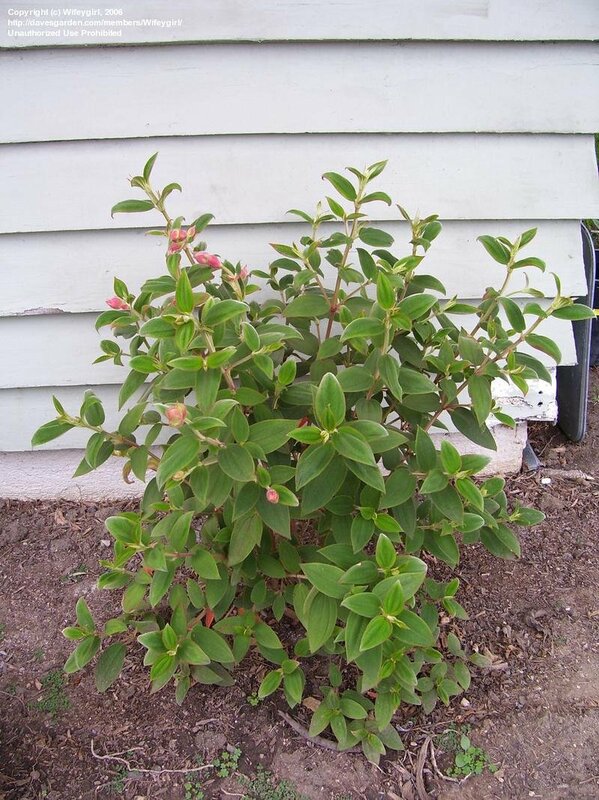 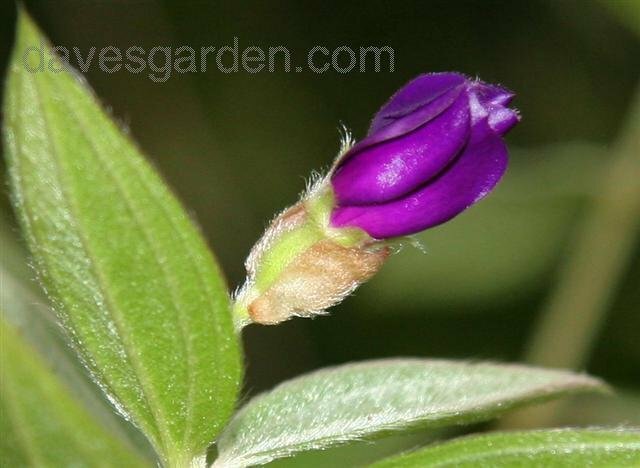 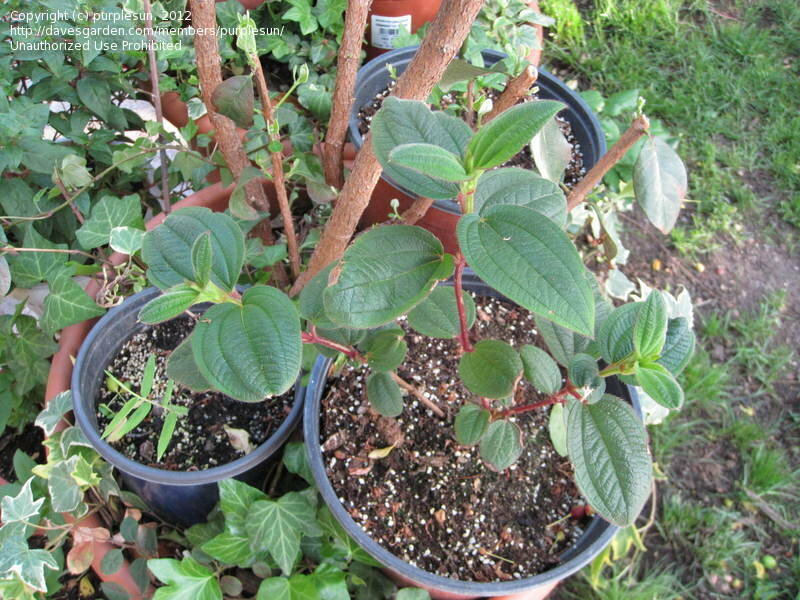 Grown as a container shrub that needs overwinter indoor. 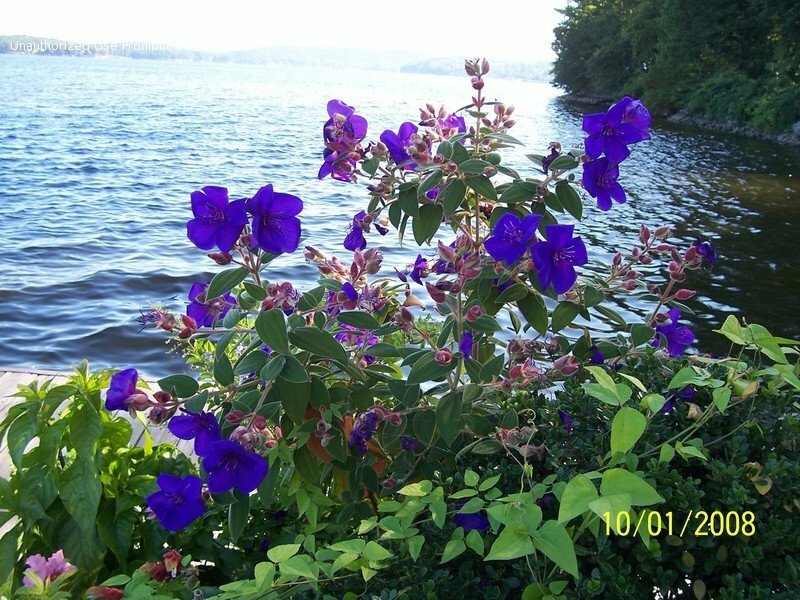 Require ample sunshine, moderate water & Fertilizer sparingly. 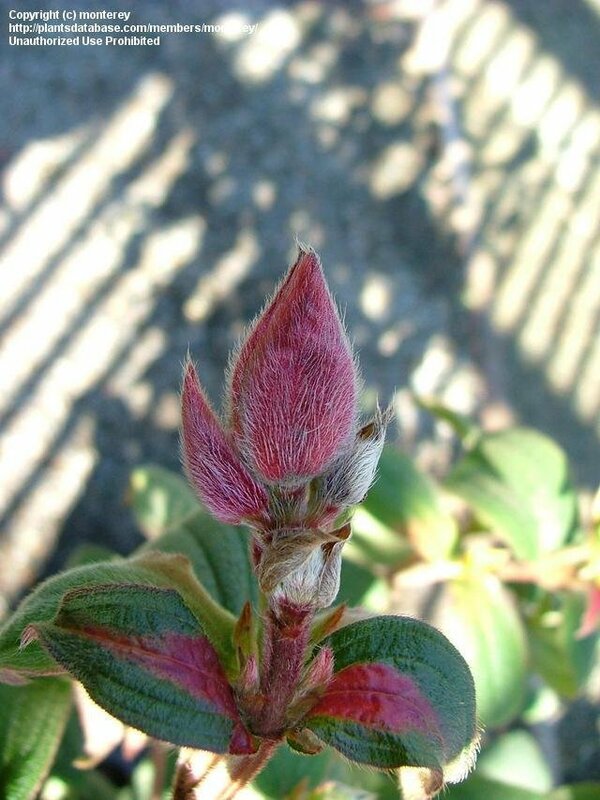 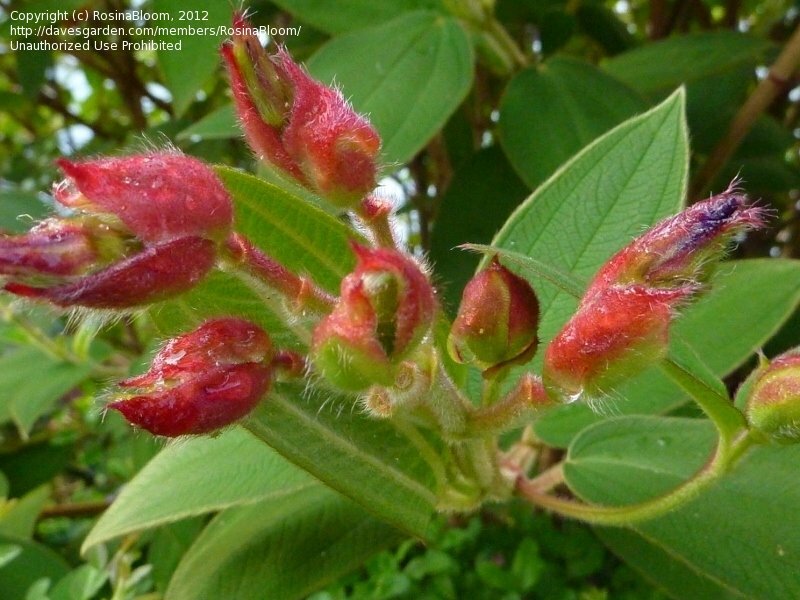 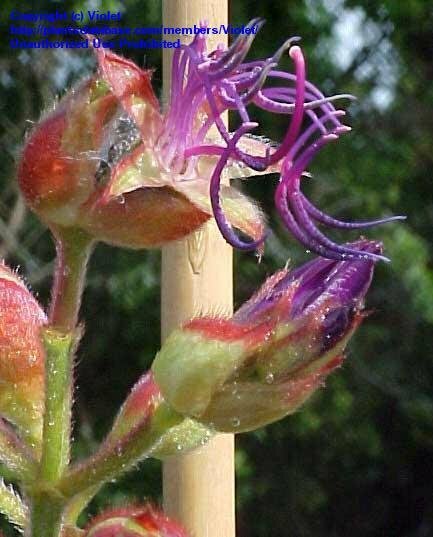 Close up of flower buds. 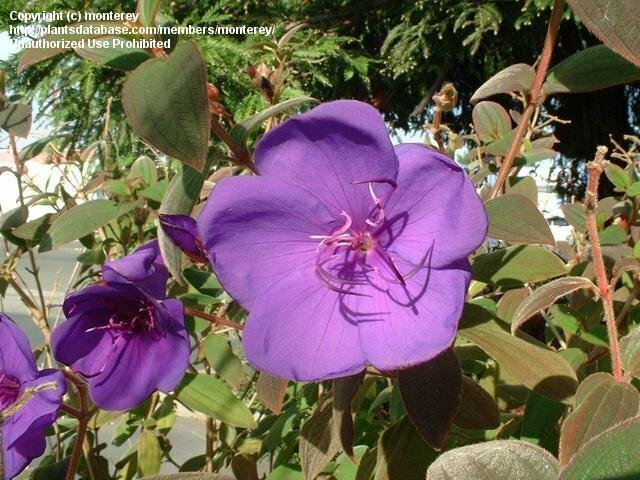 I have this growing in a container. 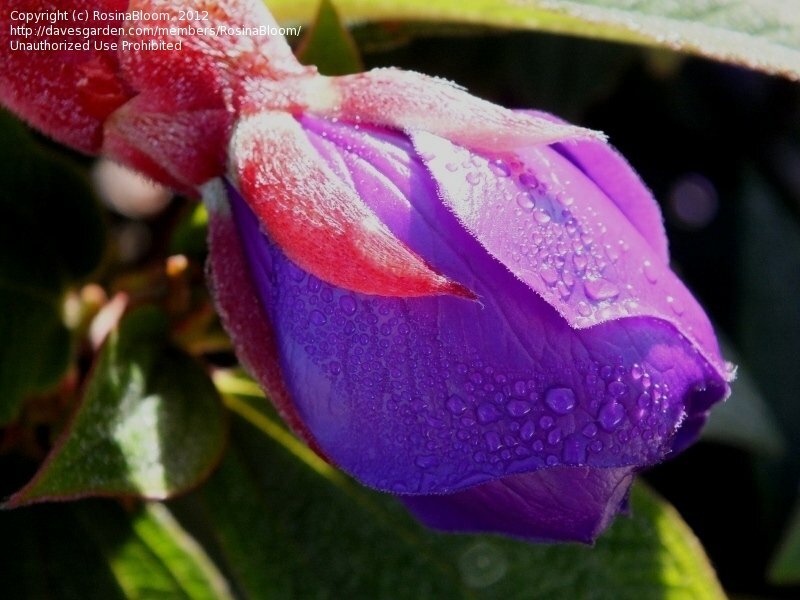 01/1104 11:58 A.M. Y es! 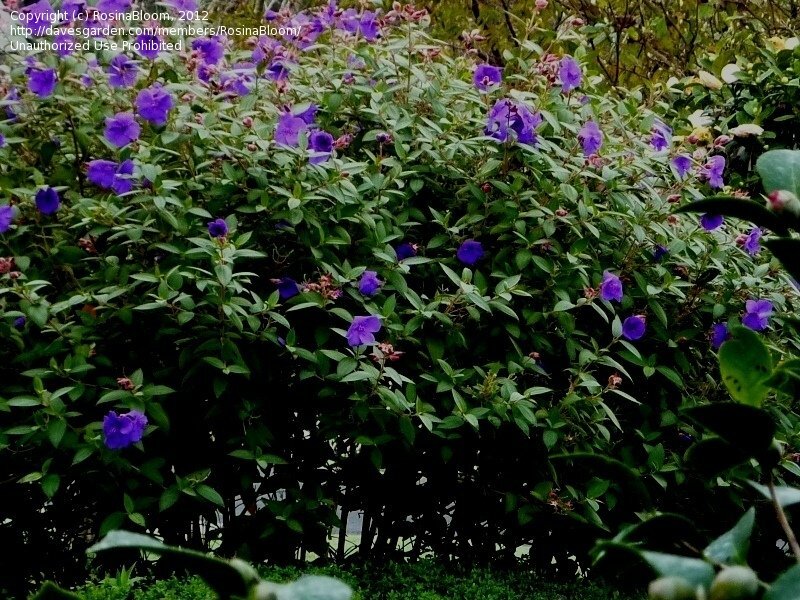 They can take cold! 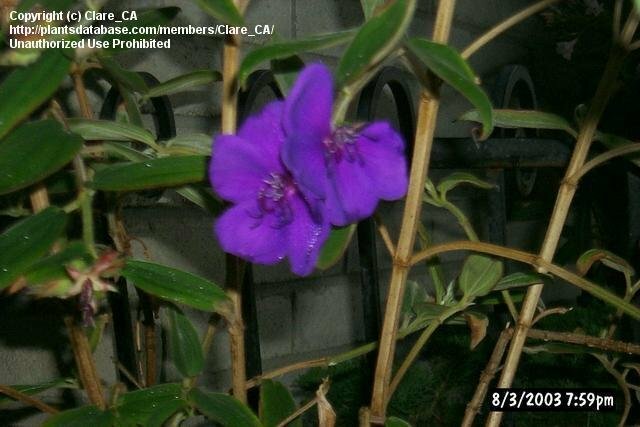 Zone 9. 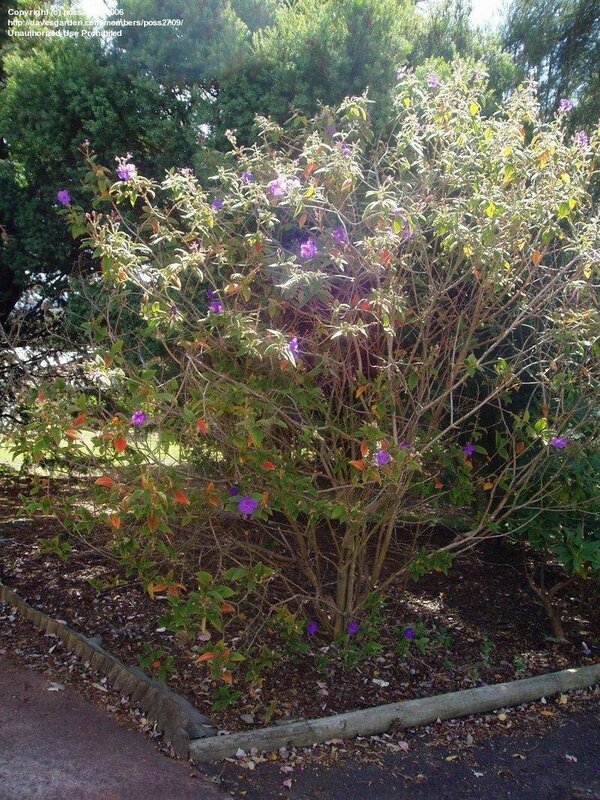 This is a huge bush and is full of buds just starting to open. 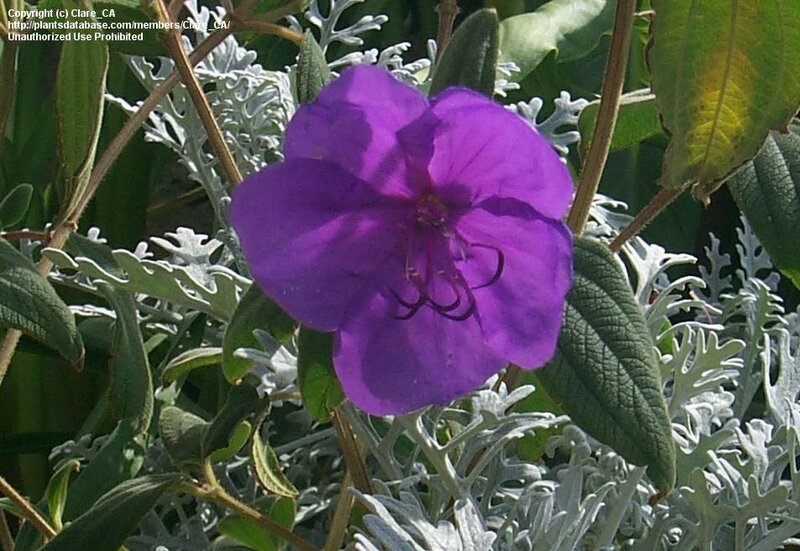 This Brazillian native performs well on the Oregon coast as seen here at the Shore Acres Park outside of Coos Bay. 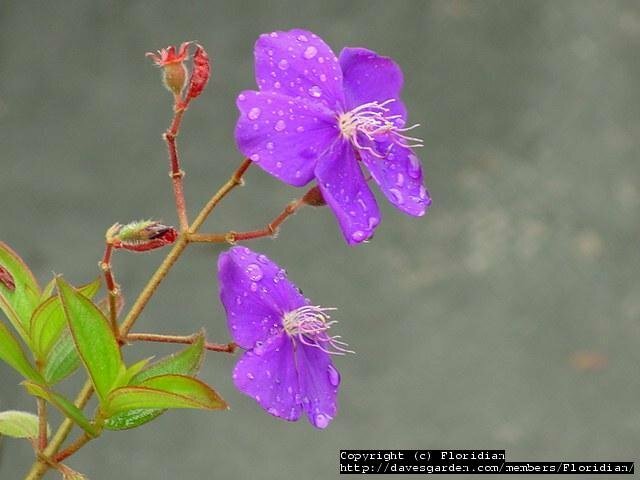 This is probably the northern most limit of this rare plant. 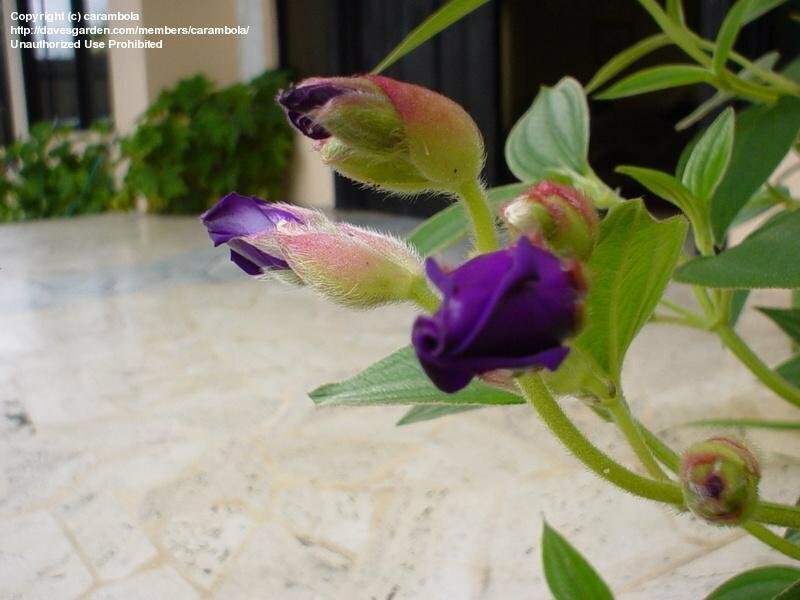 Justo un día antes de abrirse. 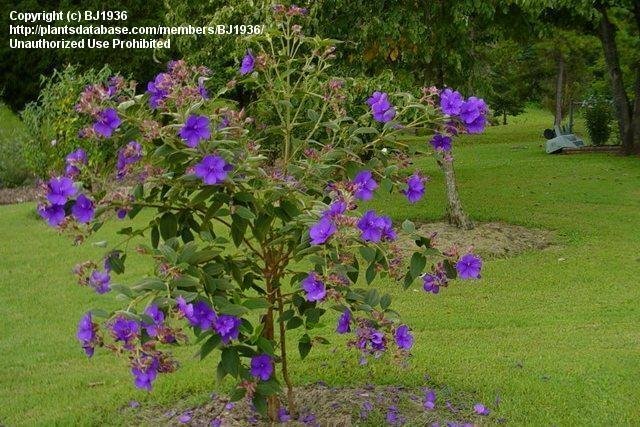 Ciudad de Panamá. 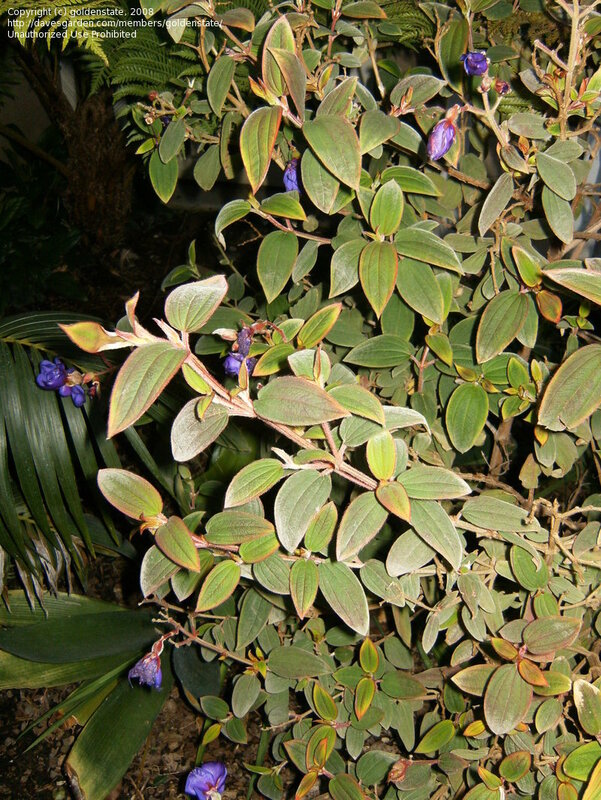 3:00 am -- Esta planta es un reloj. 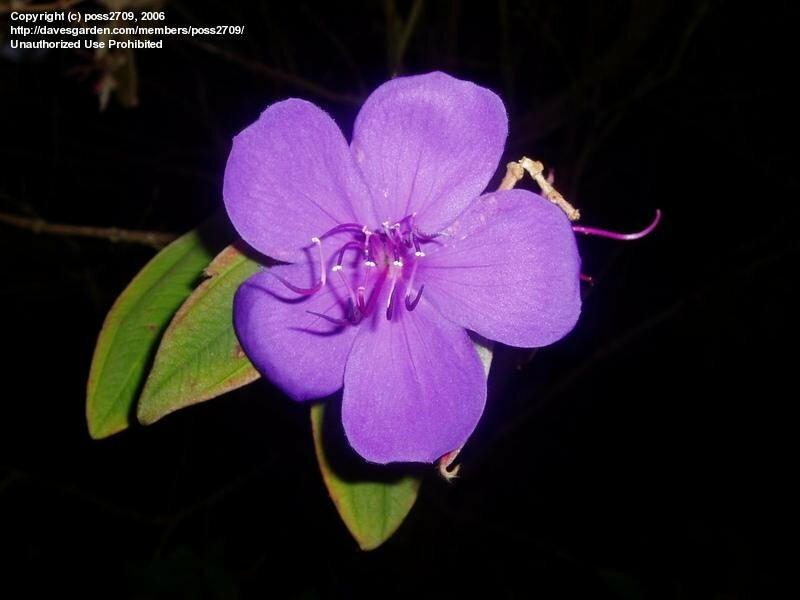 4:00 am - Ciudad de Panamá. 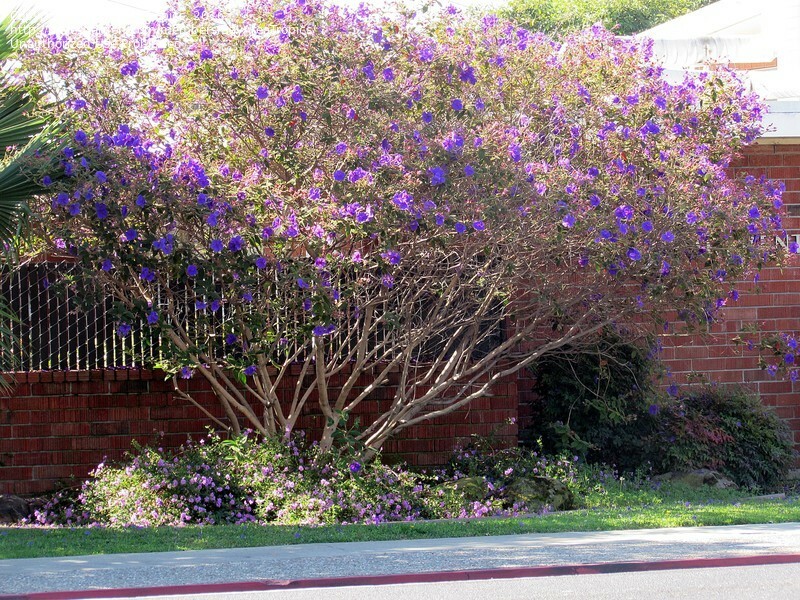 Covered in blooms for most of the year. 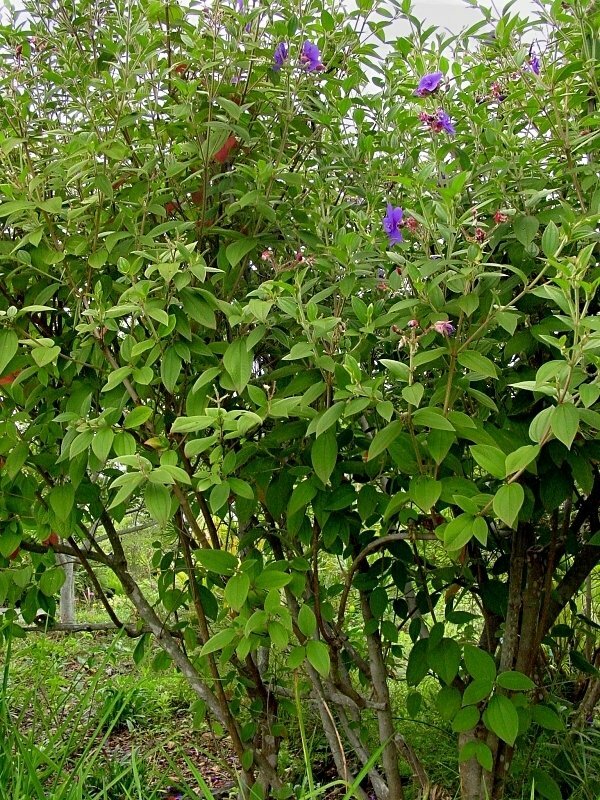 Loves to be pruned. 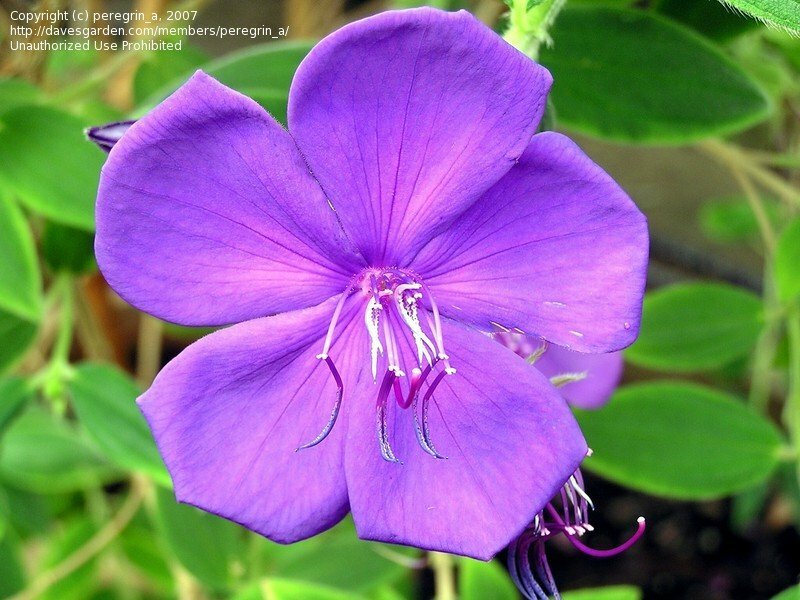 Princess Flower. 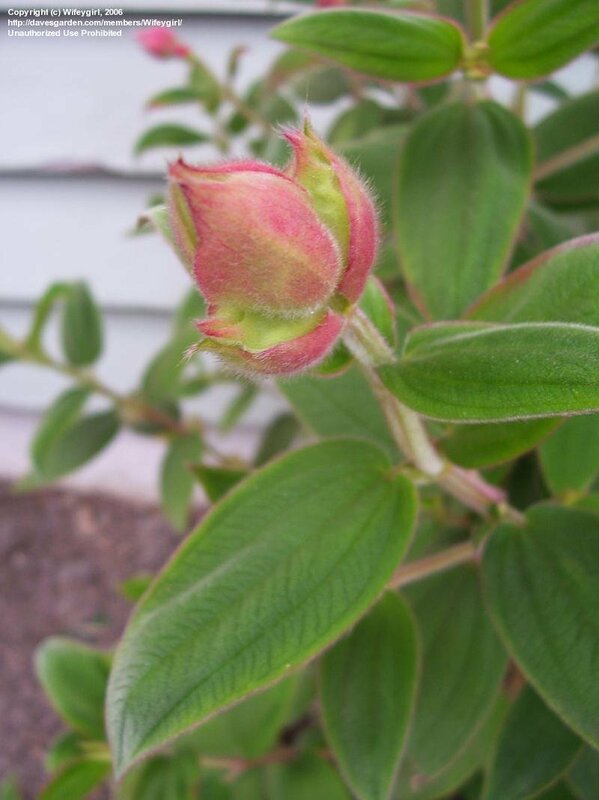 It has lovely soft leaves and this one has several buds getting ready to bloom. 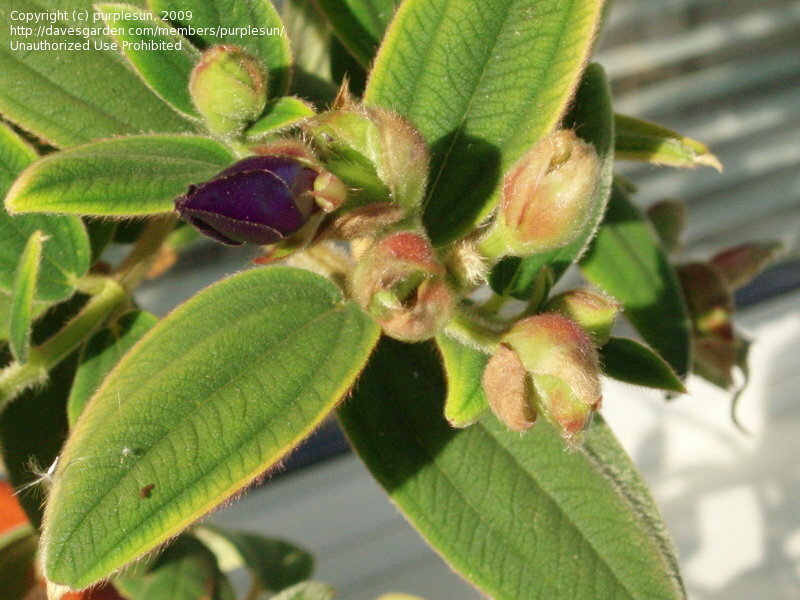 A closeup of the leaves and a bud. 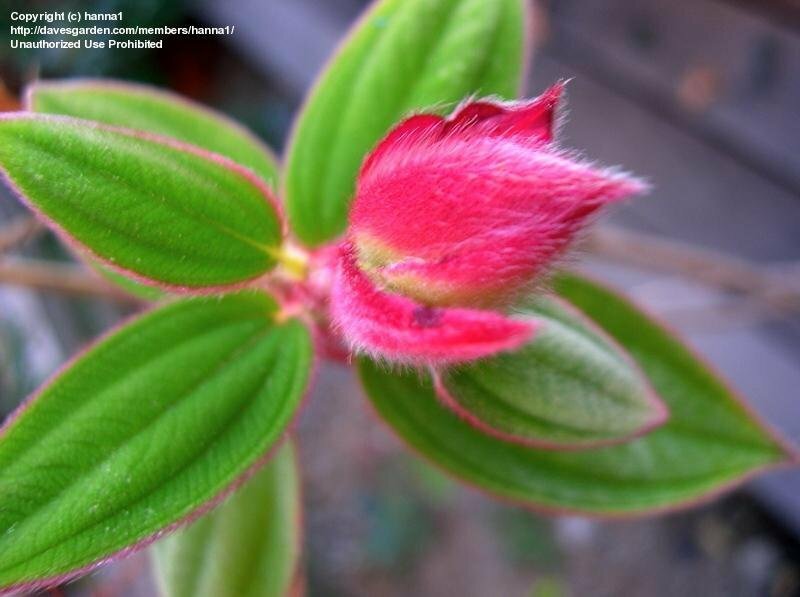 They are very soft and fuzzy. 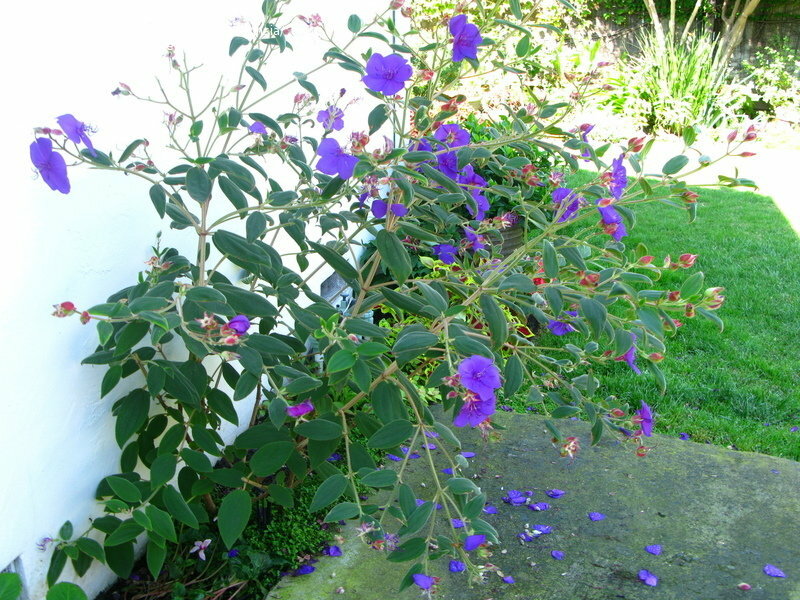 this one survived a severe freeze in Jan 2007. two nights with 18 degree temp. 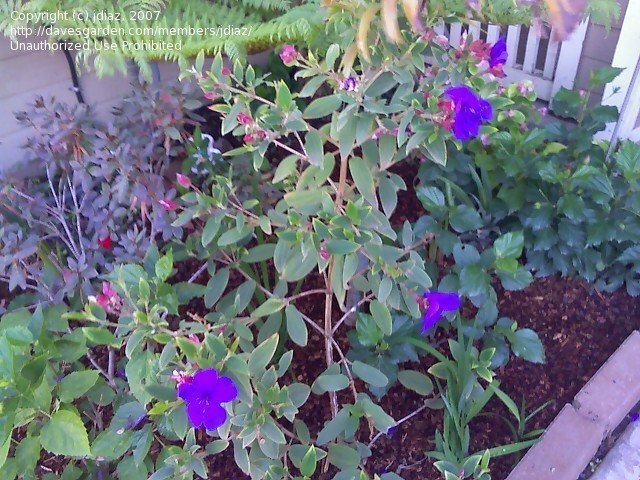 which is something extremeley rare here in central CA. 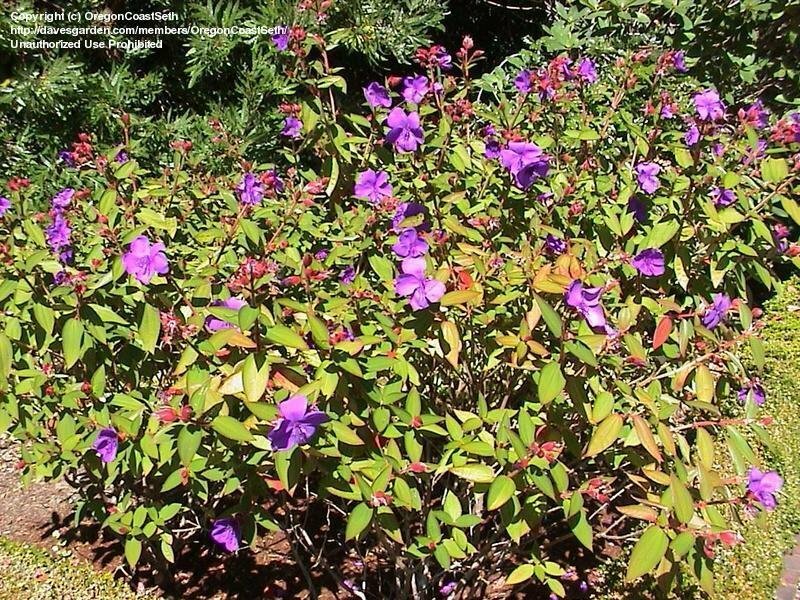 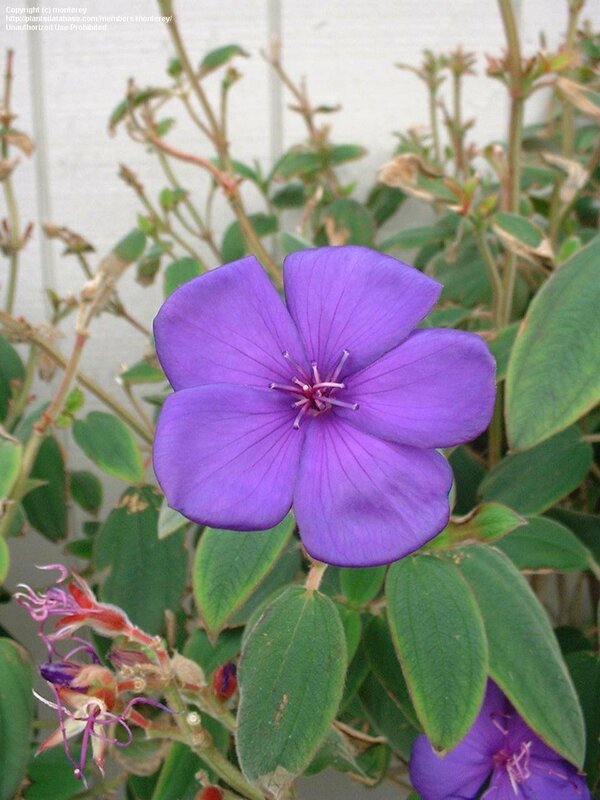 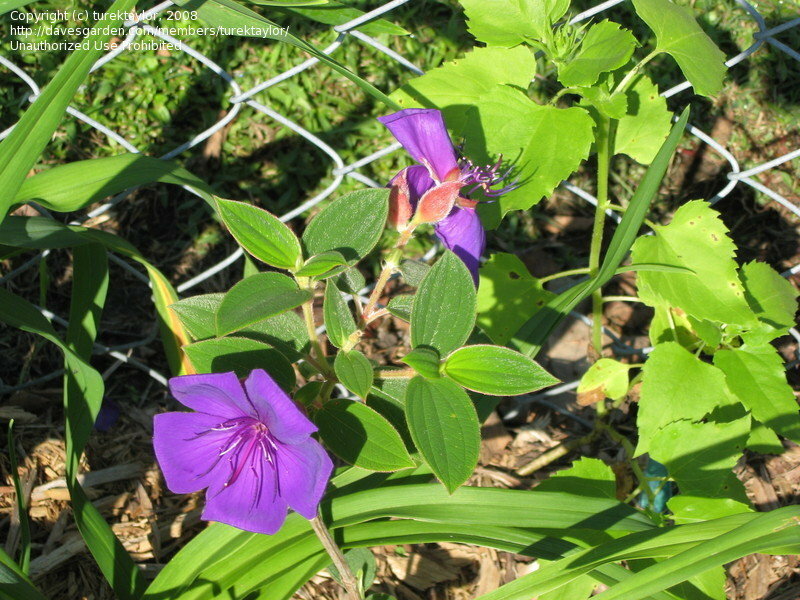 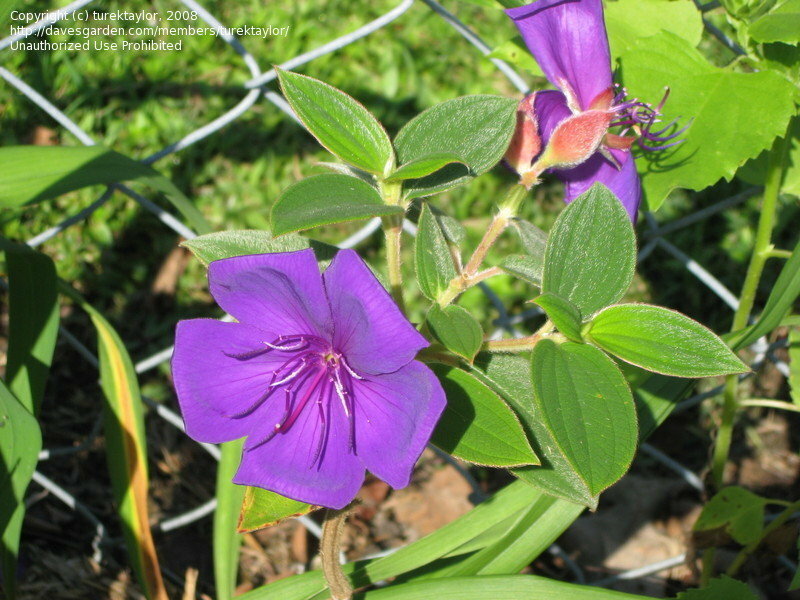 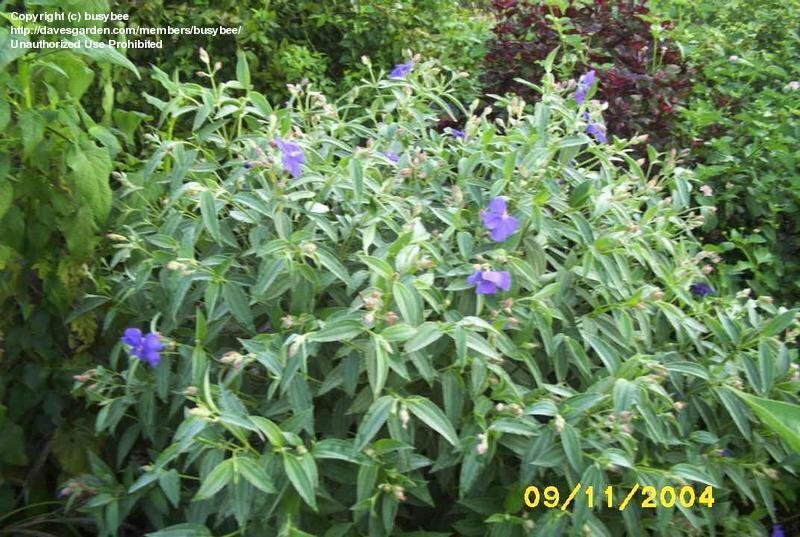 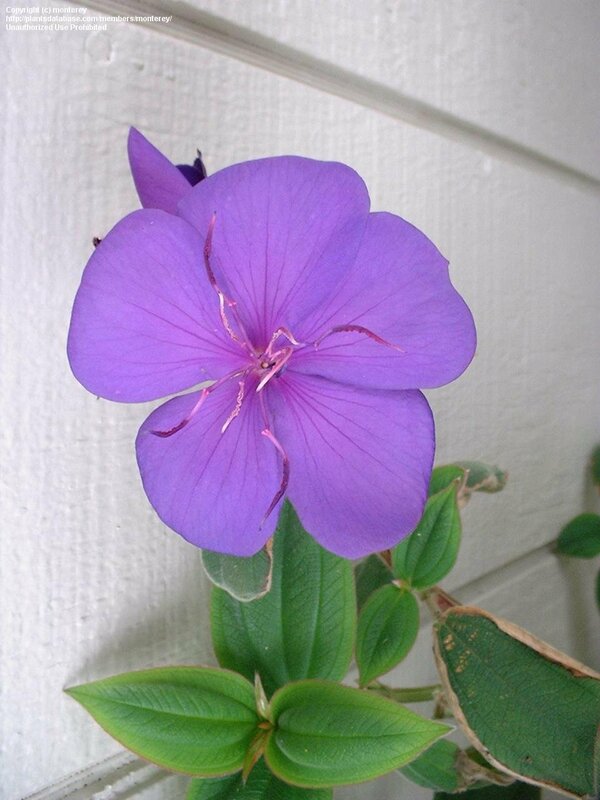 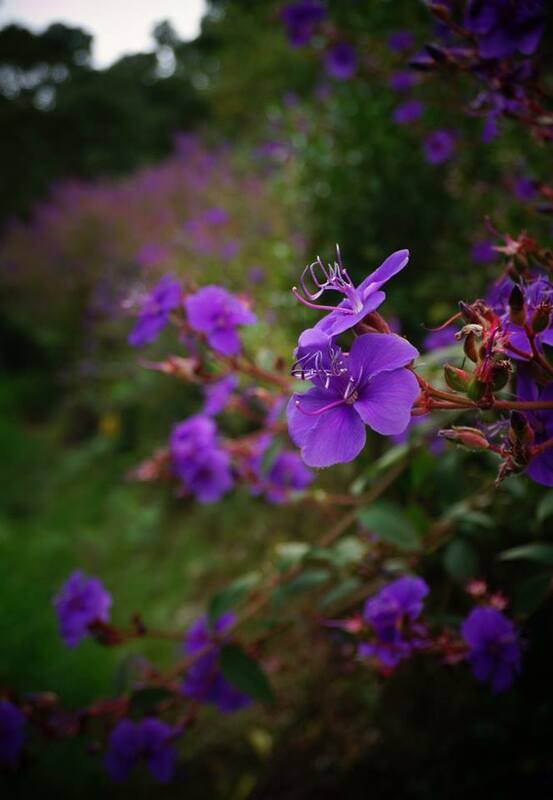 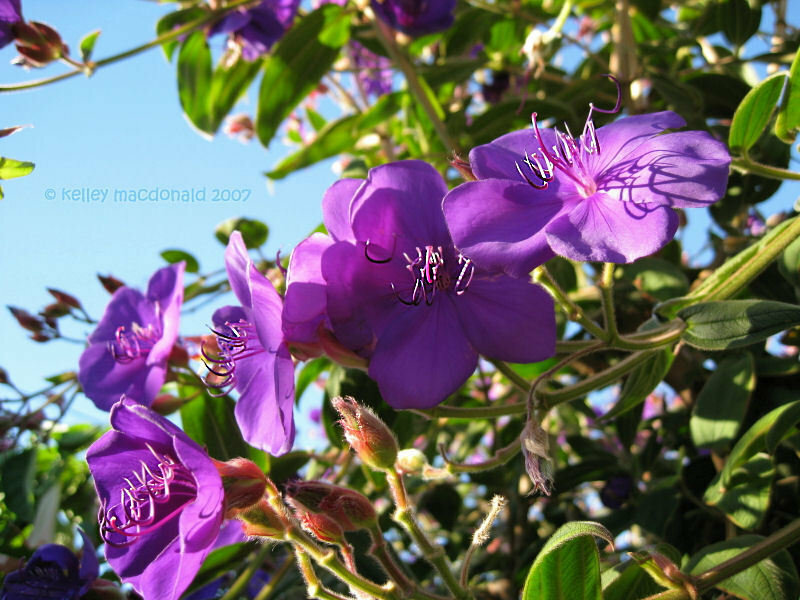 Glory Flower, Princess Flower (Tibouchina urvilleana) as observed rampantly growing in the "wild" in Kula, Maui, Hawaii in October. 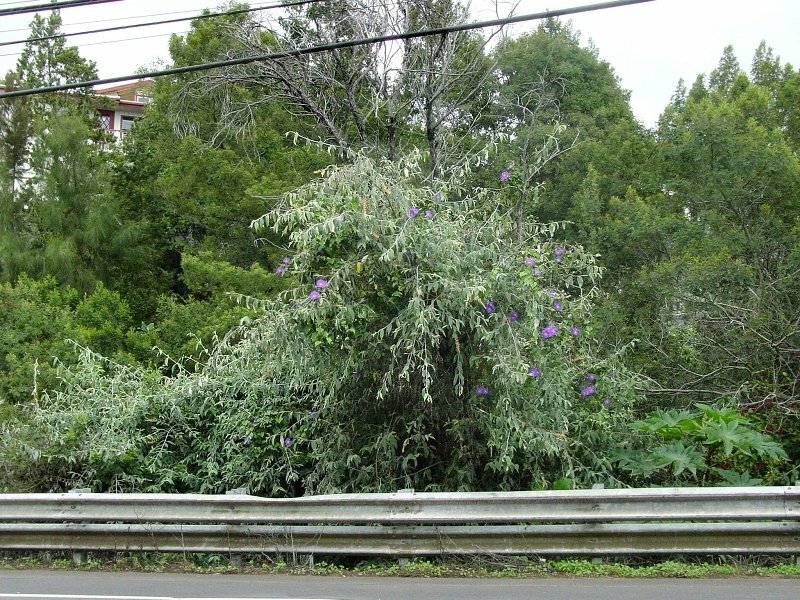 The branches are bending over somewhat because it was raining. 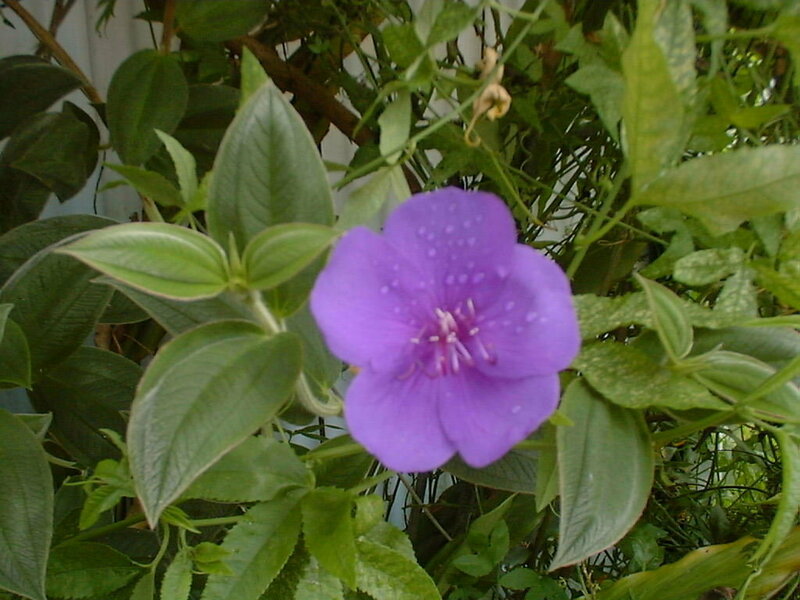 Note the leaf venation, which is very typical of members of the Melastomataceae family.